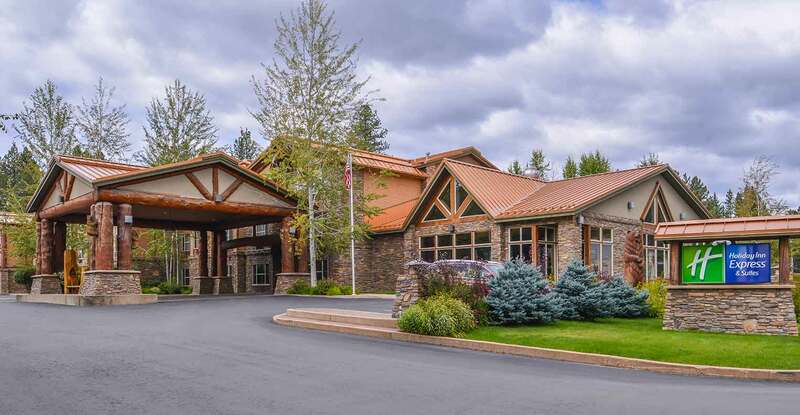 HOLIDAY INN EXPRESS & SUITES | McCall, Idaho – Georgeous Hotel, Elegant Meeting Rooms, Jacuzzi Suites, Indoor Pool, Complimentary Breakfast, Free Wifi, Weddings! Georgeous Hotel, Elegant Meeting Rooms, Jacuzzi Suites, Indoor Pool, Complimentary Breakfast, Free Wifi, Weddings! 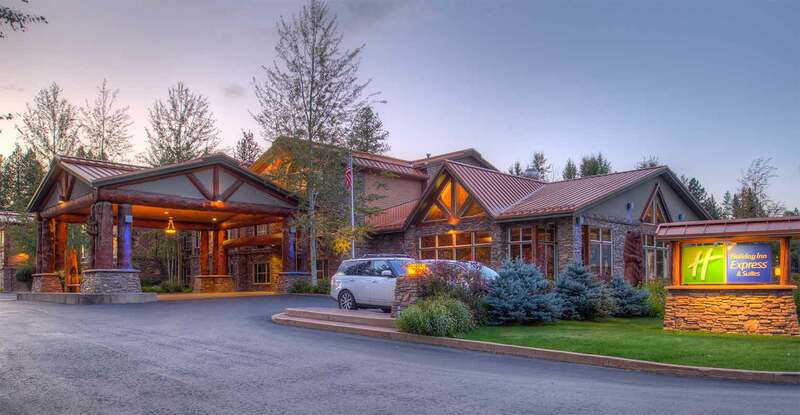 Book online or call us today and make your reservation for your next stay in McCall Idaho. Find the perfect room for you with our selection of standard rooms to our deluxe Jacuzzi suites. With 85 rooms to offer, you’ll be sure to find a relaxing room for your next stay. Our decorative and spacious rooms will ensure you get a rejuvenating night stay to get you ready for a fun filled day. Our guests are treated to a lavish indoor pool and Jacuzzi, a deluxe hot breakfast, 33 inviting suites and the highest level of customer service. These elegant meeting facilities are ideal for corporate retreats, board meetings, family reunions, bridal showers and other McCall events for 10 to 225 guests. Natural light, an exterior entrance, free Wi-Fi access and A/V support are why we’re the best! So you can be your Readiest!